When people think of Italian wine, chances are Liguria is not on the radar – Tuscany, Piedmont, Veneto, Sicily…but Liguria? Expanding eastward from the French Riviera border, this gorgeous and cliff-rich region curves itself around Genoa, Italy’s 6th largest city, incorporating the beautiful seaside villages of Portofino and those of Cinque Terre, before finishing on the Tuscan border. This is easily one of the most magical parts of Italy. Think of the cinematography from “The Talented Mr. Ripley”…but with a slightly more northern flair (actually, Dickie Greenleaf did find his fate in San Remo, Liguria). Having been originally connected to its French neighbour through the kingdom of Savoie, Liguria naturally shares a number of its Meditteranean characteristics – brightly painted houses, cacophonous markets and of course, the sea. However, from a wine perspective, it is distinctly different. Keeping in with the Italian tradition of being unique but admirably confusing, there are significantly more grape varieties – somewhere around 100. These are all tucked into 6000 hectares of vines, though only 500 of them are in their 8 DOCs, or delineated appellation areas. This makes Liguria one of the smallest wine regions in Italy, producing only 2% of their DOC wines. Some of their DOCs specialise in red, while some, a bit of everything including Sciacchetrà, a rare sweet wine from Cinque Terre. Instead of rosé, the south of France’s main wine style, Liguria is most famous for its white wines – mostly dry, fresh, salty and mineral. The main varieties are Vermentino or Pigato, which often exhibit notes of white pineapple and citrus fruits and are easily quaffable and delicious. Although Italy has 3 Vermentino areas – Liguria, Tuscany and Sardinia –those from Liguria are generally its freshest and lightest to the touch. 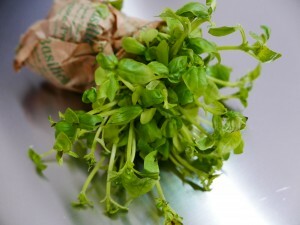 Due to the fresh, breezy climate, their reds tend to be lighter as well and focus more on their crunchy fruit. 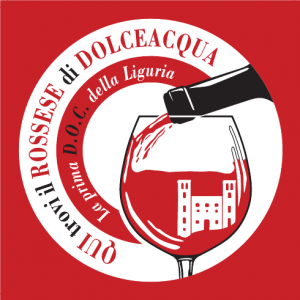 The easiest one to find is Rossese (from Dolceacqua), but Ciliegiolo, an even lighter styled, cherry-filled wine can be worth seeking out. Both are perfect for spring or summer drinking. Although rosé is no stranger either, it is the least produced of the three. Unlike Provence rosés which tend to be very light pink or even what the French call ‘onion skin’, most rosés from Liguria are claret-like, deeper in colour and with more structure (see Rosé Wines from Liguria by Elizabeth Gabay MW). One of the region’s greatest challenges is its difficult viticulture. With most of the vineyards cut into the steep sculpted terraces at up to 60 °, dedicated labour of fearless and tireless workers is required. While it sounds intriguing even poetic, it pushes up the cost of production. Since Ligurian wine is lesser known and does not (yet) have the salability factor of Tuscany, for example, many people struggle to see the benefit in working hard for little monetary return. But one cannot help but admire those who continue to dedicate their lives to carrying on this tradition, producing these unique and often delicious bottles. Due to the success of Tuscan and Sardinian wines, Vermentino is one grape on the rise (“Why Vermentino Is A Contender To Challenge Sauvignon Blanc” by Fiona Beckett) and so more and more people will hopefully seek out these delicious seaside treasures. Mare & Mosto (“Sea & Must”) – a new exciting annual wine event that uniquely focuses on Ligurian wines, producers and regions. In addition to a thorough tasting of the region’s wines, they also offer master classes, focusing on the specific regions or wine styles. In May 2015, it took place in the beautiful coastal spa town of Sestre Levanti. Visit! 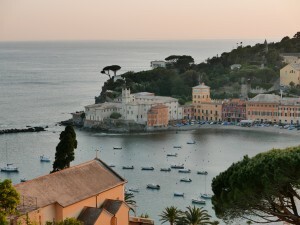 – Liguria is easily reached by Genova or Nice airport. It is hard to find fresher seafood, more perfect pesto (it is legendary), gorgeous seaside villages and incredible hiking trails that dot along the coast above Cinque Terre. This is paradise for nature, food and white wine lovers.